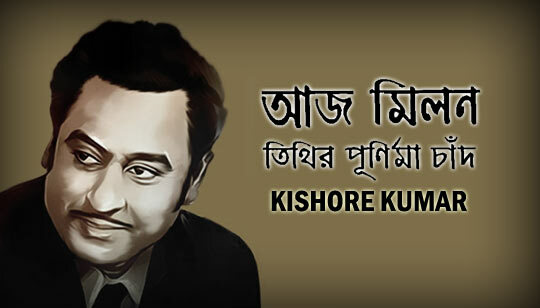 Aaj Milan Tithir Purnima Chand Song Is Sung by Kishore Kumar from Pratisodh Bengali Movie. Starring: Uttam Kumar, Soumitra Chatterjee, Sukhen Das, Robi Ghosh. Music composed by Ajoy Das. Aaj Milon Tithir Purnima Chand Bengali Song Lyrics written by Pulak Banerjee.